Fail Safe Close Manual Ball Valves play a key role in many on-site applications, being a firm favourite with engineer's and installers alike! Frequently referred to as Dead Man's Handle, Spring Return Handle and Spring Return Leverthese compact and very useful manual valves remain the answer to many probems where isolation on critical pipleline / processes is required cost-effectively. A drain or sampling valve that needs to be able to spring back into the closed position upon release ie when fitted to a tank, to avoid wastage of product if left in the open position. Isolation of critical processes, such as diesel filling lines; where the implication of leaving 'on' or in the open position could have disastrous results. Take a closer look at our Brass and Stainless Steel manual ball valves, used to 'shut-off' medium flows on a wide range of liquid and gaseous duties including drain and blow down, gauge isolation and test points. 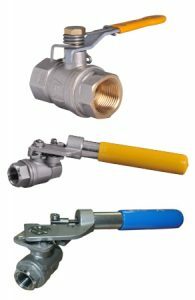 Our Brass Ball Valve with Spring Close Lever is a non-maintainable full bore ball valve; providing safe operation for both general and industrial chemical applications. An economical, compact and reliable valve in Screwed BSPP with a Nickel plated body. 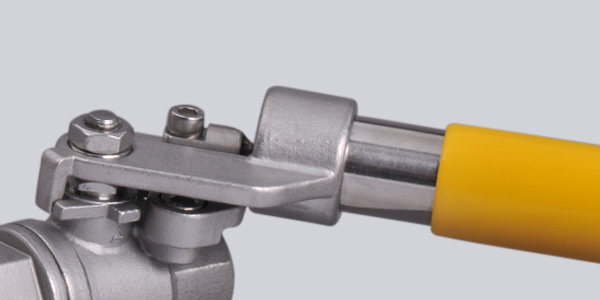 Our Stainless Steel Ball Valve 2 Piece Full Bore Spring Return Lever is a non-maintainable two piece, full bore female / female ball valve; providing safe operation for both general and industrial chemical applications. An economical, compact and reliable valve with CF8M Stainless Steel body and PTFE seat. Our Mars Ball Valve Series 22 Full Bore Direct Mount Spring Return Handle is a non-maintainable two piece, full bore ball valve with an ISO 5211 mounting top; providing safe operation for both general and industrial chemical applications. A reliable valve with Stainless Steel body, PTFE seat and Spring Return Handle. For further information or should you wish to check the correct sizing of your valve or application please call our office on +44(0)1822 855600, +44(0)161 480 5700 or contact our technical department via email.